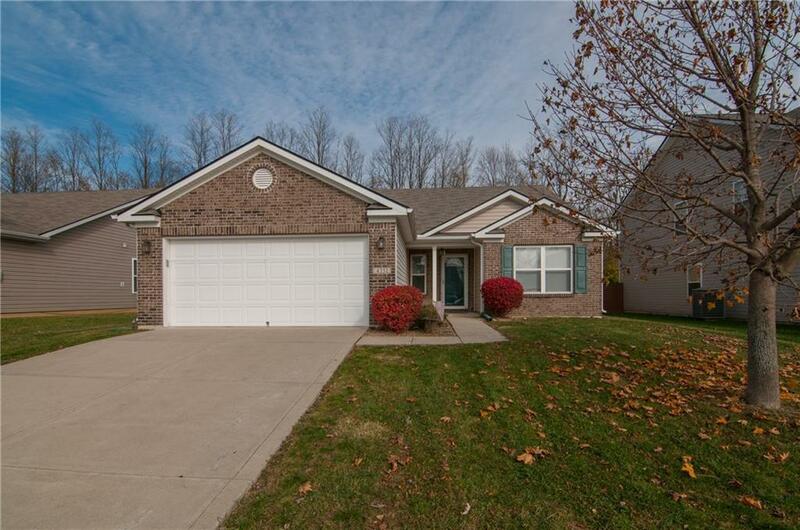 Wonderful open ranch home in Brownsburg with over 1600 square feet of living space! Huge great room w/wood burning frplc open to beautiful sunroom looking out on tree lined bkyd perfect for entertaining! Spacious kitchen w/tons of cabinets & stainless steel appliances! Popular split bedroom floor plan! Separate laundry room w/washer & dryer included! Vaulted ceilings in great room & master bedroom! Finished garage w/epoxied floor! All bedrooms have walk-in closets! Current owner has a senior tax exemption along with the homestead & mortgage exemption! Updates include Furnace 2017, Carpet replaced in October 2018! Don't miss out on this true gem!